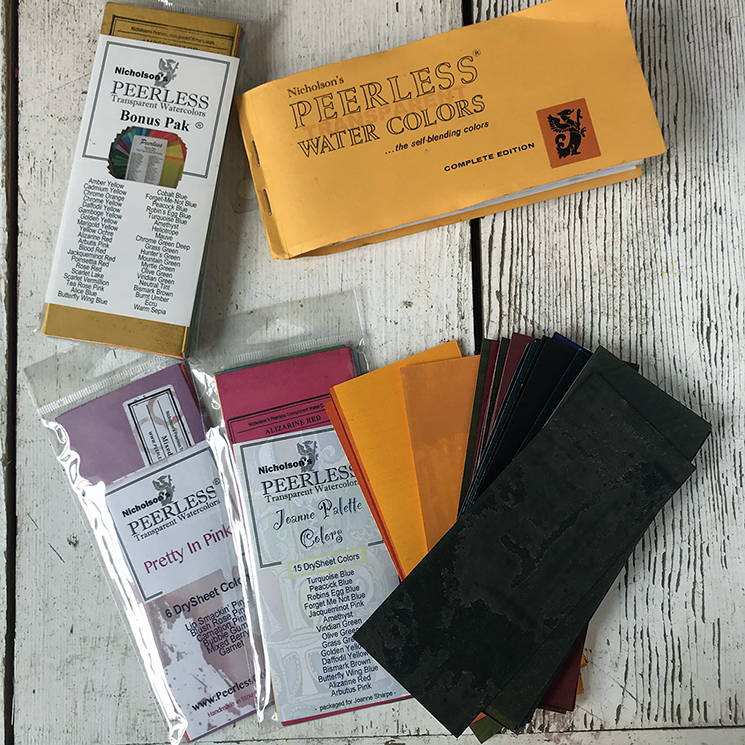 Peerless Watercolors originated in 1885 and the watercolors were first used for tinting slides and photographs. 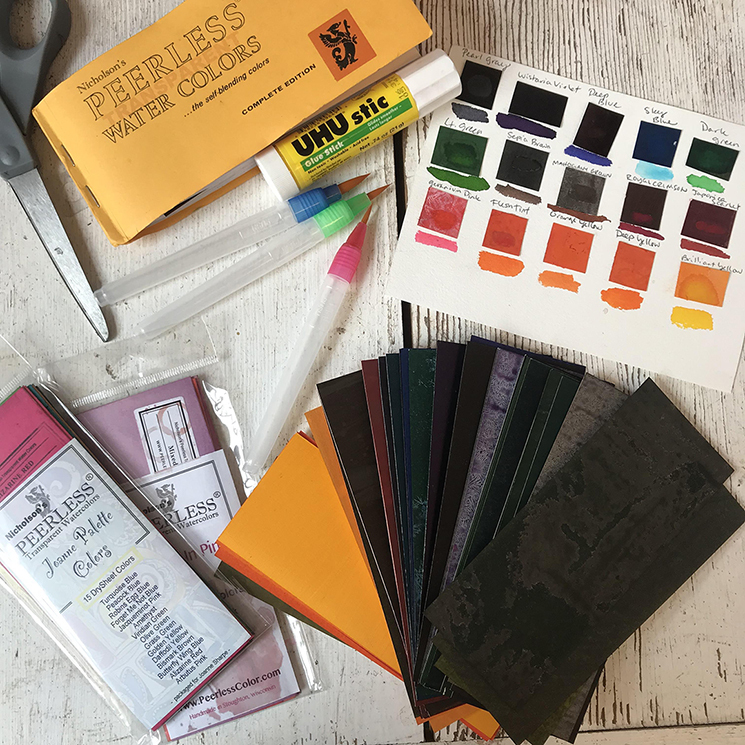 They continue to be hand made using the same process, and are perfect for creating a travel palette for plein air painting! Read on to see how we assembled ours. 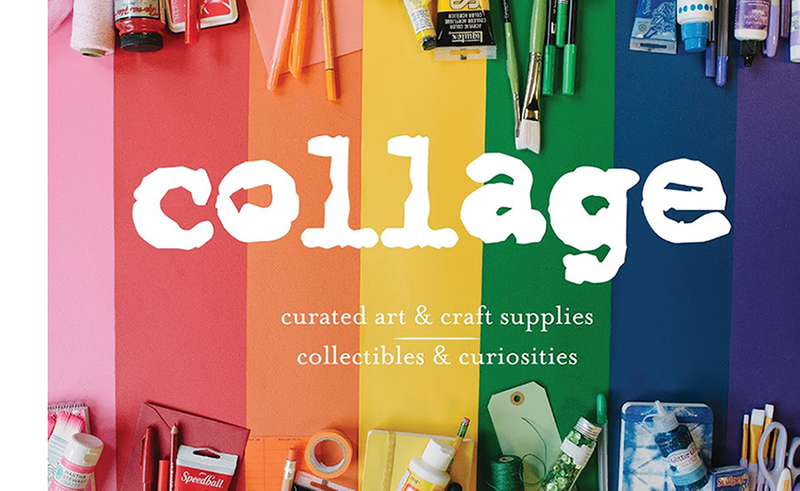 All supplies available at collage. 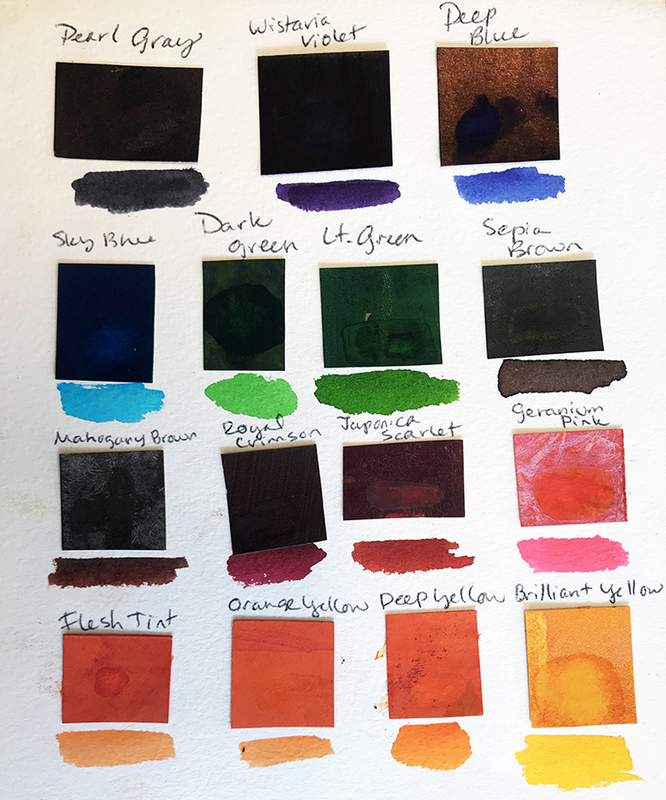 Taking a page from your watercolor book, cut out a square of each peerless color, and use your glue stick to glue it down (we like to label the colors and paint a little swatch underneath to see what they look like). 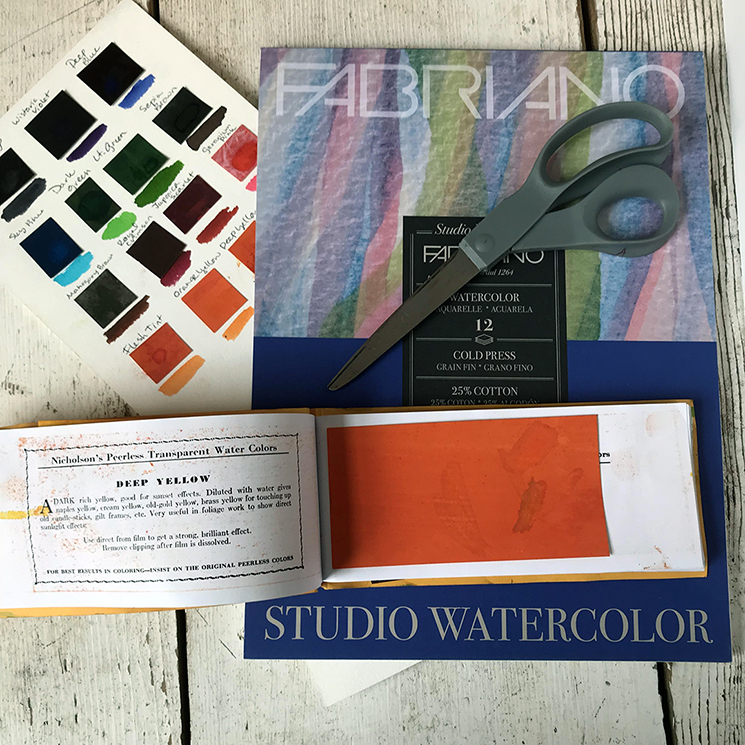 Once you are finished, you will have a palette that can travel with you to any plein air painting adventure!